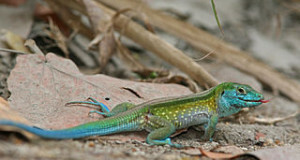 Many lizard-keepers find Mertens’ Monitors, Varanus mertensi, to possess an ideal mix of large and small monitor qualities. While large enough to satisfy the desires of aspiring Crocodile Monitor keepers, they can be comfortable in sizable, but less than room-sized, enclosures. Mertens’ Water Monitor (not to be confused with the larger Water Monitor, V. salvator – please see photo) is the most thoroughly aquatic Varanid and has a number of specialized adaptations for life in the water. The tail is laterally compressed (as in Crocodiles) to assist in swimming and the nostrils, which can be sealed during dives, are located high on the snout. Adults are olive or dark brown to black in color, with dark-edged cream or yellow spots; hatchlings are much brighter. They average 3 feet in length, with some individuals approaching 4 feet. The range extends across tropical northern Australia (Northern Territory, Queensland, and coastal Western Australia) from just west of Cairns to the vicinity of Cape Leveque; it also inhabits several off-shore islands. Mertens’ Monitors live in rivers, canals, ponds and reservoirs. They rarely stray far from water’s edge, but will forage on banks and in low brush. Basking occurs on floating plants, logs or the shore. They are common in suitable habitat, but threatened by the introduced Marine Toad, Bufo marinus, which is expected to colonize up to 80% of their range in time (monitors consume toads and die as a result of their toxins. Classified as Vulnerable by Australia and listed on Appendix II of CITES. Males engage in ritual combat – rising up and wrestling – during the breeding season. Females dig a burrow, which terminates in a leaf-lined chamber, for their eggs. There is evidence that, at least in certain populations, gravid females migrate to small, temporary water bodies before nesting; perhaps this safeguards the young from Salt Water Crocodiles, Crocodylus porosus, and other river-dwelling predators that share its habitat. Even by monitor standards, this species has wide tastes, with crabs and crayfish being especially favored (in my experience, this holds true in captivity also). Other prey includes fishes, frogs, tadpoles, turtle eggs, snails, nestling birds, possums (please see photo), and invertebrates. Mertens’ Monitors regularly consume carrion, and have been observed foraging in dumps – discarded sausages are reportedly savored with enthusiasm! In more natural surroundings, they use their tails to concentrate small fishes when hunting in the shallows. This species was named after eminent Russian-born herpetologist Robert Mertens (1894-1975) of Germany’s Seckenberg Museum. One of Mertens’ Monitor’s adaptations to an aquatic existence is the ability to remain active at low (62F) temperatures. It has been described as “crocodilian” in behavior, sunning on river banks and retreating to water when disturbed. Much of its food is caught in water, but it hunts equally well on land. 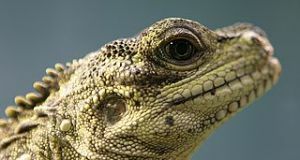 Seventy three species of monitor lizards (family Varanidae, genus Varanus) range across Asia, Africa and Australia. 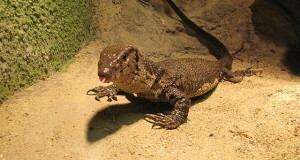 Although generally associated with warm climates, the Desert Monitor, V. griseus, may be found as far north as Kazakhstan. 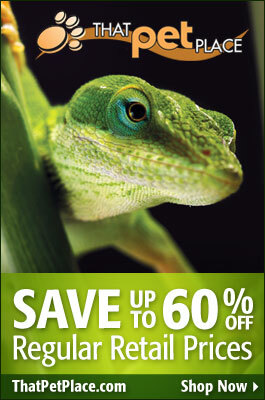 They reach their greatest diversity in Australia, where over two-thirds of the world’s species are found. Australian monitors fill ecological roles held elsewhere by predatory birds and mammals.